Even if there isn’t much of it, all of our homes have some form of technology in them. Whether it be your television, your computer or your radio; you have at least one item that can be considered technology. We have seen a lot of really neat things lately and there are many more cool things on the way. We are very excited to see what is going to come out next. For now, we are going to talk to you about some of our favorite technologies that we think every home should have. While not all of them are something that can fit into everyone’s budgets, they are things that you should at least consider and research because a lot of the times you can get some really great deals if you take your time and shop around. If you are a big fan of television, then you are probably interested in incorporating 3D into your home. 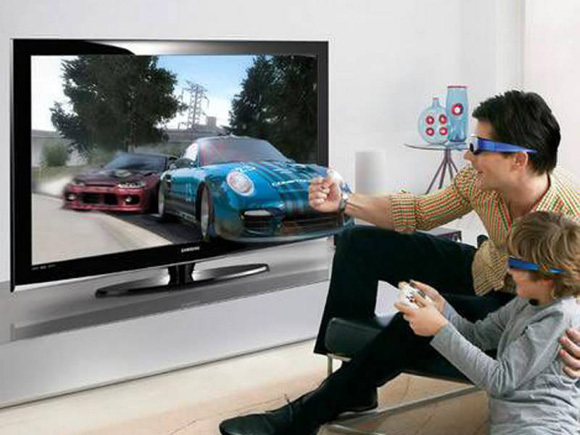 Not only are there TVs that don’t require glasses at all in order to get the full 3D effect but there are also some very affordable options that we think everyone can enjoy. Video games are going to completely change for you and your family and these days you can even record 3D videos and show them to your guests. Capturing and experiencing special moments is easier than ever before and HD was just the beginning; 3D takes you to a whole new level. For those of you who aren’t able to be home as much as you would like, you are going to love this. There are a wide range of apps, some of which are available from your cable company that can help you to keep better track of your home while you are away. Not only can you lock your home up and track your security system but if you have cameras in place, you can watch your home live to see how the babysitter is doing or if your new puppy is behaving. This way, if there are any problems you can get home or send someone out. Do you have a hard time keeping the temperature in your home to your liking? If this sounds like you then you are probably going to fall in love with the new systems that are out there these days. They are actually able to turn on and off for you and you can even set timers on them so during certain times of the day, you won’t be wasting heat. This way, you don’t have to remember to turn them off each time you leave the home. It’s going to save you quite a bit of energy in the long run. That money can be used for much more important things. You’ve probably heard of televisions that recognize when they are being watched and when no one is in the room, they turn off. While this is fantastic, did you know that you can also have this option available with the lighting in your home? This is something that more and more people are falling in love with, especially those of you who have children in the home that tend to forget to turn the lights off whenever they leave the room. Vacuuming is something many people don’t enjoy but we have always had to do. What’s so great about vacuuming these days is that it is easier than ever. There are actually robots that can do the work for you. Some of them walk around the room and begin to memorize where your furniture is, while others use lasers to scan the area so they know which areas of the room have already been cleaned and which need to be cleaned still. This is going to make cleaning your home much easier and is a perfect addition for those of you with hectic work schedules. If you are looking for easier ways to organize your room then you are going to love the devices that are available today. They are typically smaller than a tablet and installed into the wall right where your light switch would be. You are able to control all sorts of things in a single room without needing to step a foot inside. This includes but is not limited to lighting, television and surround sound system controls and even the blinds. With this added simplicity, you can easily walk through your home on your way out the door without missing a beat. Hi, I am Thomas Davies and I am tech blogger. I also write guest post on technology and shares reviews of new technology through guest posting. Click on the link to get Sydney’s best Architects for interior designs ad Steiner architecture in budget.